Technical staff measuring the thickness of the EUROFER plates. For the first time ever Test Blanket Modules (TBMs) will be manufactured to be tested in a tokamak environment in order to draw technical know-how for future fusion reactors. They will be located at the equatorial ports of ITER and they will act as test beds for tritium breeding. To achieve fusion energy apart from deuterium we need tritium. We will therefore use ITER to explore different breeding techniques to be deployed in future fusion reactors. Due to the fact that TBMs, and subsequently reactor blankets, will be exposed to neutron irradiation we need to carefully select their materials. The candidate steel that Europe is considering to use is EUROFER97, which responds well to neutron activation with a good resistance to neutron irradiation. The specific elements and impurities of this steel have been carefully defined to limit its activation and the overall radioactive waste in a future fusion reactor. In ITER, each TBM will consist mainly of a EUROFER97 steel box containing the tritium breeder, neutron multiplier materials as well as a series of heat extraction plates. 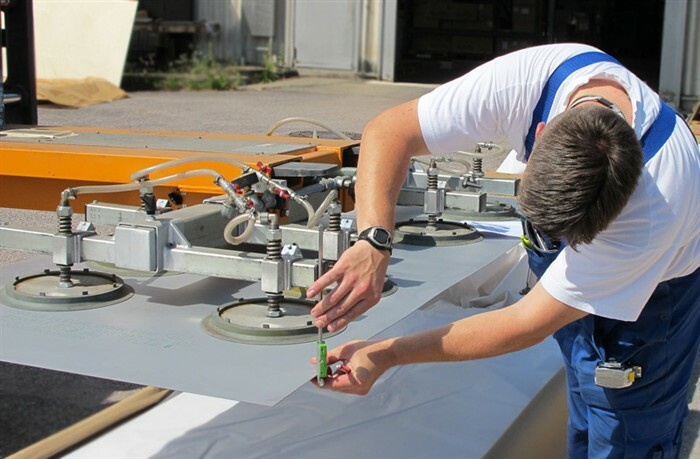 F4E has signed a contract with Saarschmiede GmbH Freiformschmiede, Germany, to deliver various EUROFER97 finished products. A total of approximately 27 tonnes will be manufactured in the form of special plates and bars of various thicknesses from 1.2 to 45 mm. The completion of the manufacturing, testing operations and acceptance of the EUROFER97 finished products, storage and delivery is foreseen over 17 months. The supplied EUROFER97 products will be used by F4E, and its future contractors, for the TBM fabrication development and qualification of welding procedures according to industrial standards. The knowledge acquired will feed towards the licensing of the TBMs which will be installed in the ITER machine.